This one was a very interesting read. I enjoyed volume 1 more, however, this one did not disappoint. 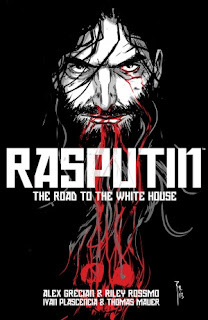 Unlike volume 1 this story takes place in the modern day and Rasputin recounts his past to nosy reporter. The whole time I’m enjoying the story very much; then I got the end and I get a cliffhanger. I was all into the story and now I’m speculating if this reporter will squeal that there is a man that can bring the dead back.